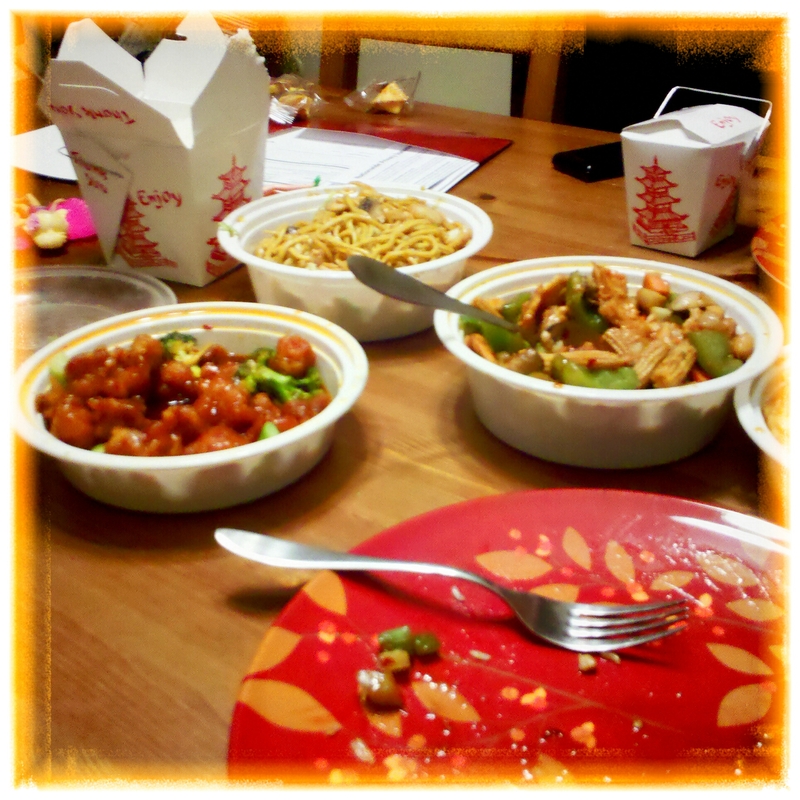 Chinese Take Out Healthy Style! Expecting people to never eat take out would be unrealistic. However, knowing what to choose on the menu can be a struggle for some when the nutrition facts isn’t visually provided. Opting for the “healthy” menu can help steer you in the right direction and dishes that blatantly list the entrees with veggies. You can enjoy the take out without taking out the fun! Seeing what a serving of your favorite pork fried rice can sound daunting, but you don’t have to eliminate rice from your meal all together. 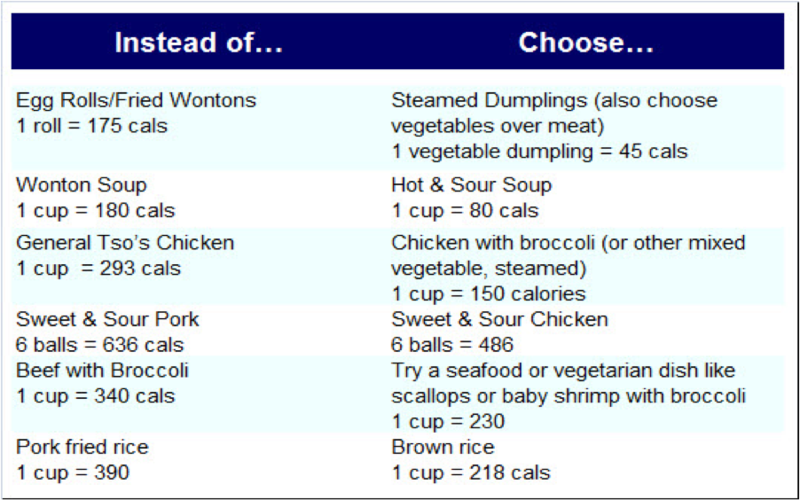 As you can see, brown rice is still 218 calories and has numerous health benefits. Now go grab a pair of chopsticks and call up your local Chinese takeout restaurant!